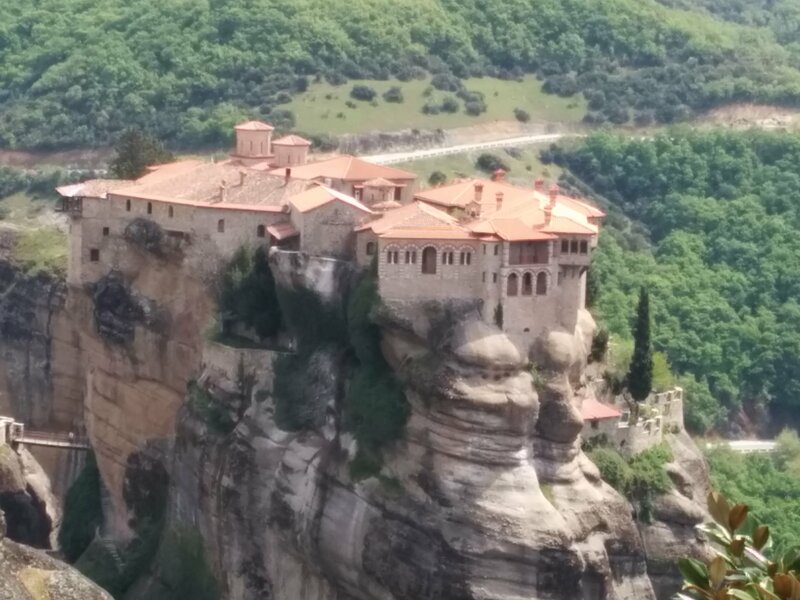 We had a lovely afternoon at Meteora. 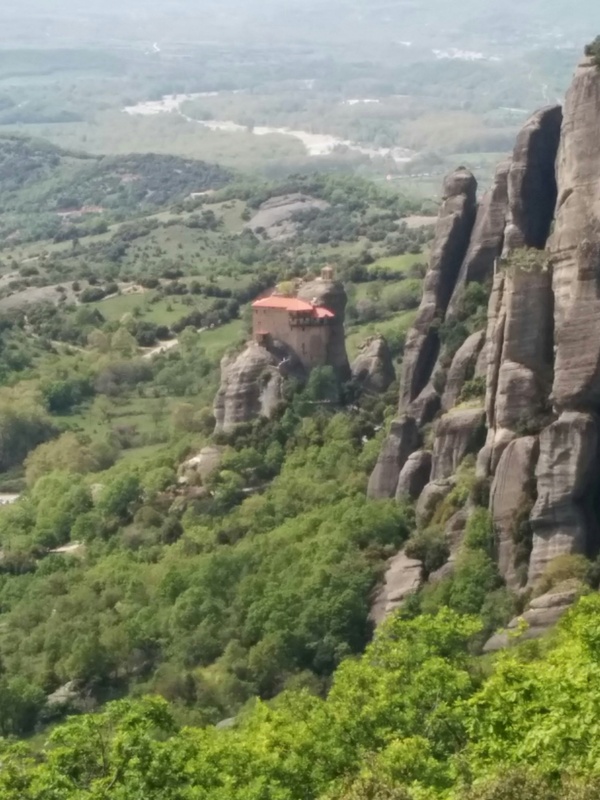 It is a complex of monastaries on top of huge rock formations. We took a bus up to the first one, and climbed down then up into it. 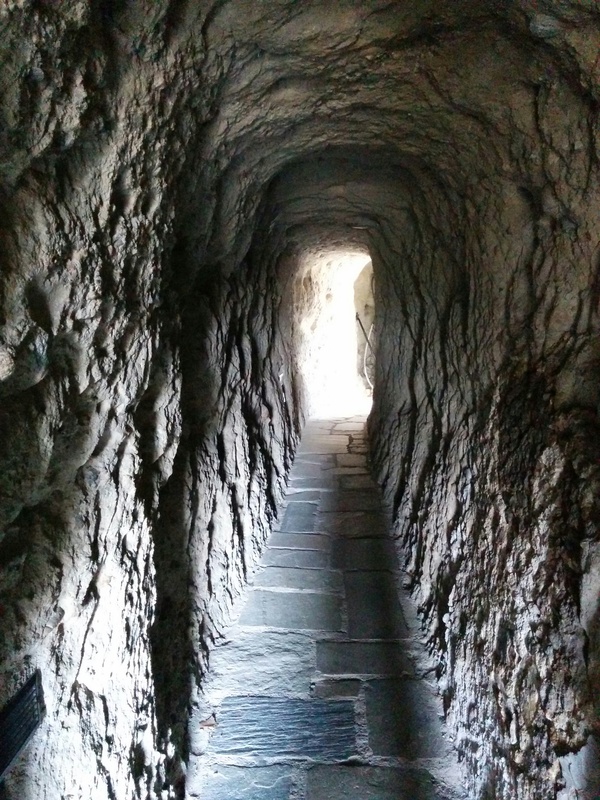 When you get to the other side of the chasm, you pass through a metal door, then a tunnel in the cliff face. They were built in the 14th century and back then they really didn’t want visitors. Now they get 3 euros from each one, so they are fine with it. 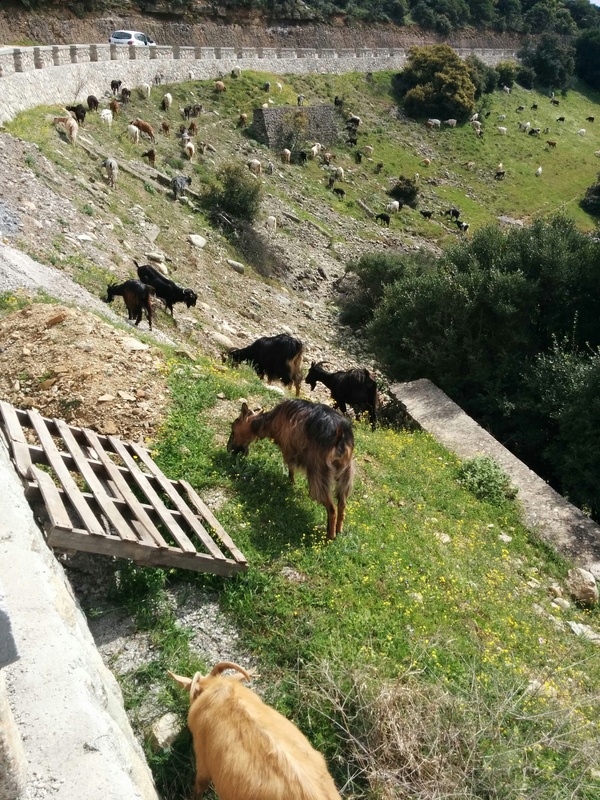 We walked a few kilometers along the road that now connects them, very peaceful with mostly just birds and bees and some goats. While the walk was lovely, we happily accepted a ride between the last two monastaries and then back down to town with a lovely german couple. 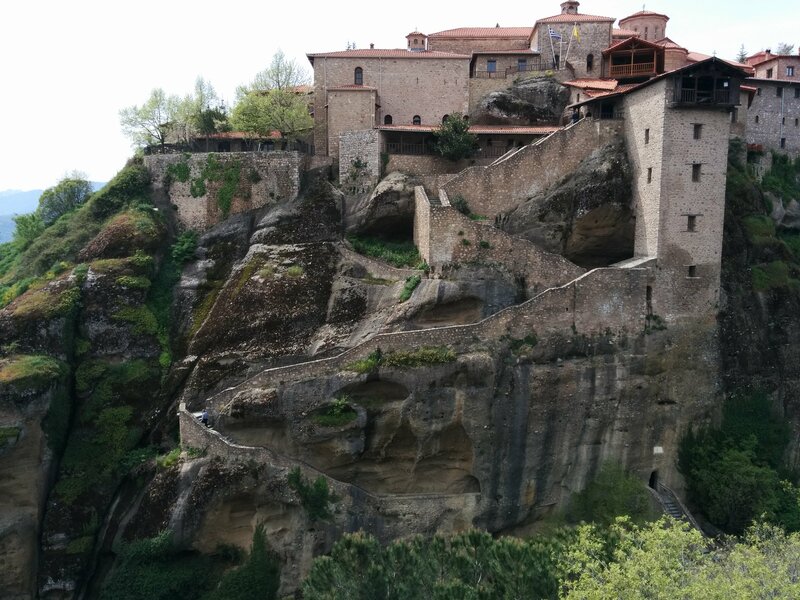 This entry was posted in travel and tagged Greece, Meteora on April 7, 2016 by gillianknitter.